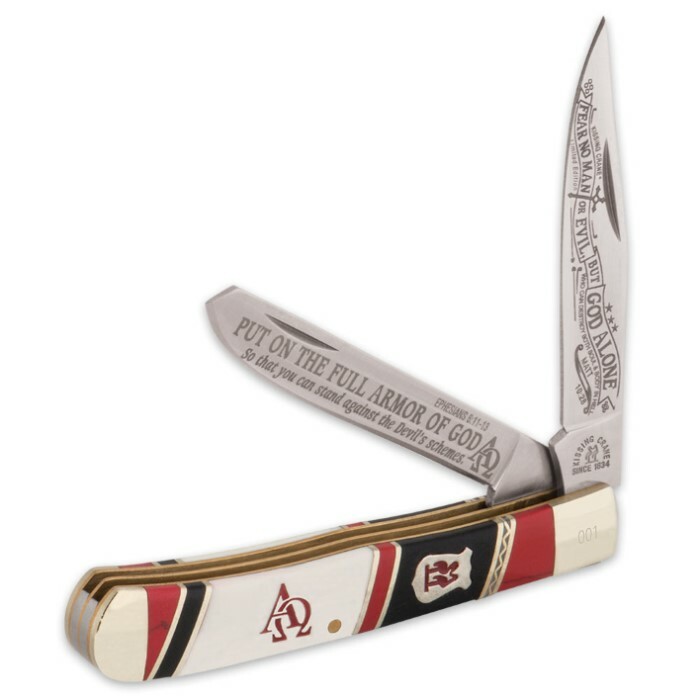 Kissing Crane Limited Edition 2016 Alpha and Omega Trapper Pocket Knife | BUDK.com - Knives & Swords At The Lowest Prices! 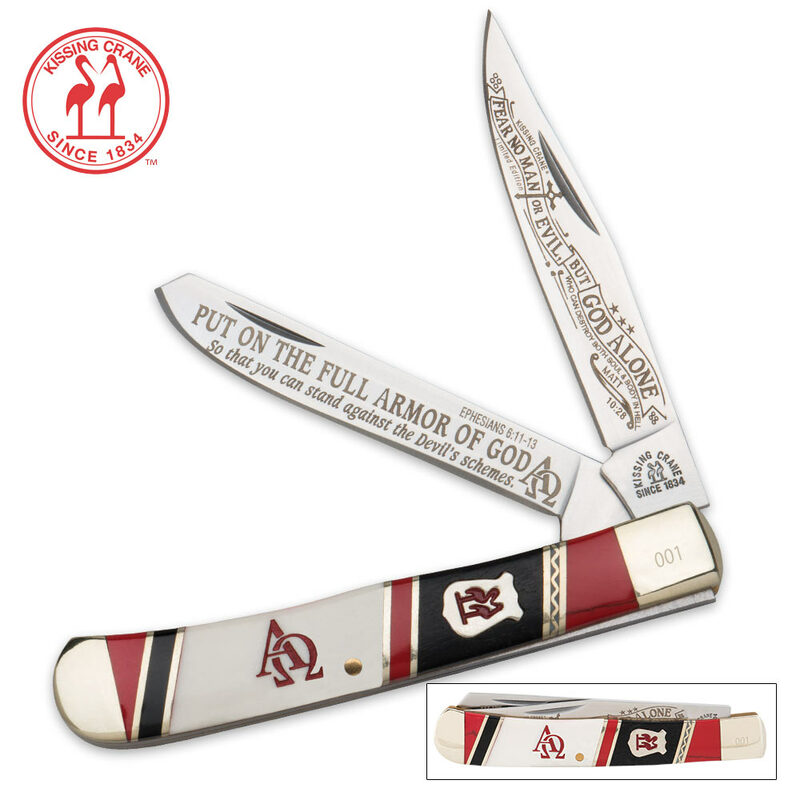 Carry a reminder of “The Armor of God” with you right in your pocket. 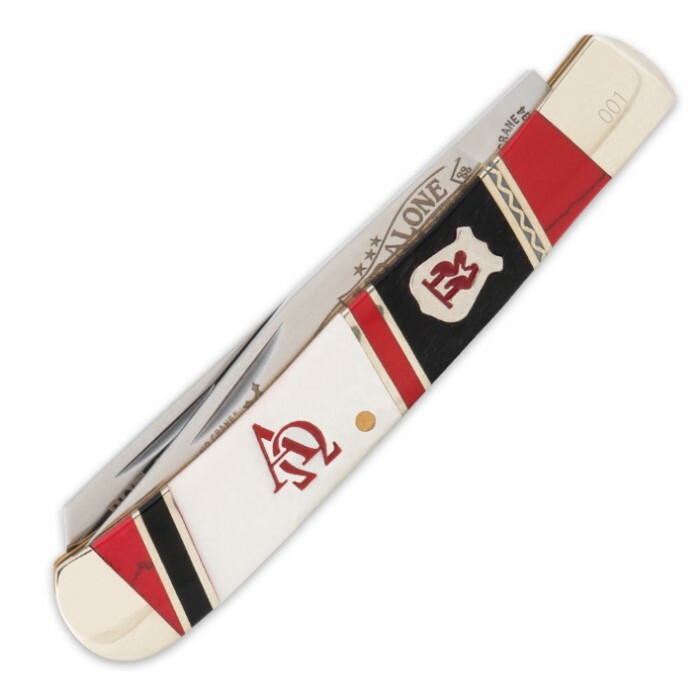 This limited edition folding pocket knife features razor-sharp 440 stainless steel blades with commemorative spiritual etchings and a handsome genuine bone handle. Polished brass bolsters, pins and accents and the classic Kissing Crane cast shield complete this exquisite design. Each one is laser serialized on the bolster.